Pleasure Beach01493 844585work Theme ParkEntry to the Pleasure Beach on Great Yarmouth is completely free, visitors can come and go as they please. Rides are paid for by tokens or wristbands purchased at main reception. Ride tokens are also available from token machines located around the park. The Pleasure Beach is currently rated in the top 10 free entry amusement parks in the country. Ample car parking exists adjacent to the park. Height restrictions are in force on some rides. 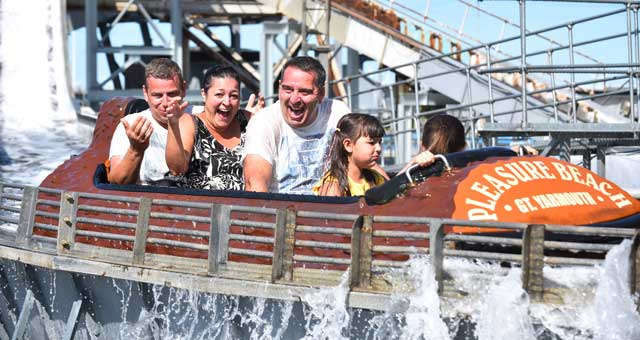 An exciting mix of white-knuckle and child-friendly rides makes the Pleasure Beach an ideal family day out. New ride for 2019!! Try the Air Maxx - not for the faint hearted as it swings, spins and loops its 16 riders up to 100ft high in the air. 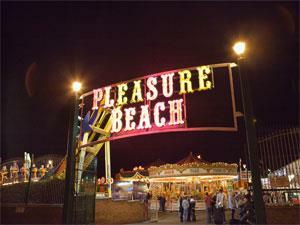 Entry to the Pleasure Beach on Great Yarmouth is completely free, visitors can come and go as they please. Rides are paid for by tokens or wristbands purchased at main reception. Ride tokens are also available from token machines located around the park. Days and times vary and can be subject to weather conditions - please telephone prior to your visit for confirmation. Park is free to enter, ride with tokens or buy all day wristband.